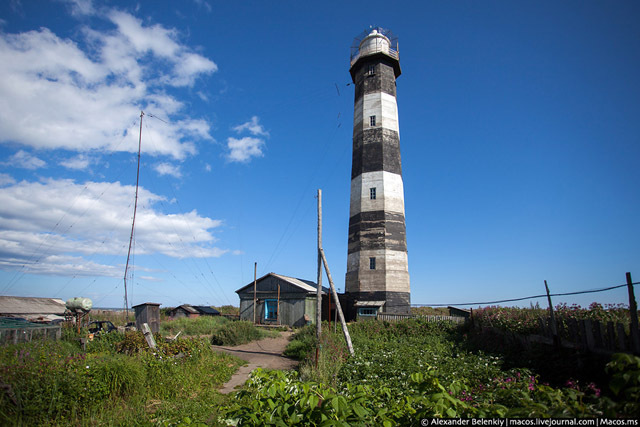 Lighthouse Poronaisk class 3 is set on the eastern coast of Sakhalin Island in the town of Poronaisk, on the right bank of the mouth of the river Poronai, at a distance of 100 meters from the coastline, at a height of 3 meters above sea level. 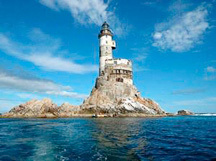 Lighthouse Poronaisk occupies a land area of ​​0.1 hectares. 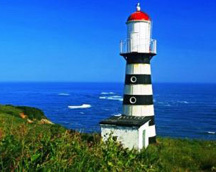 International number of the lighthouse on the UK to publish a description of lights - M7875. 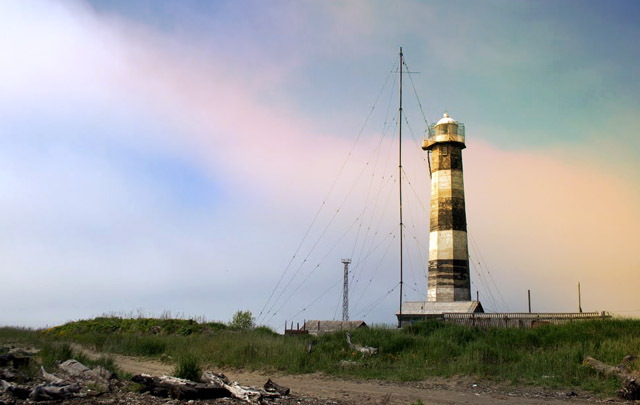 The geographical coordinates of the beacon Poronaisk: 49 13,40 N, 143 07,11 Е. 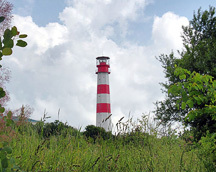 Construction of the lighthouse was conducted in 1963 - 1965 years. 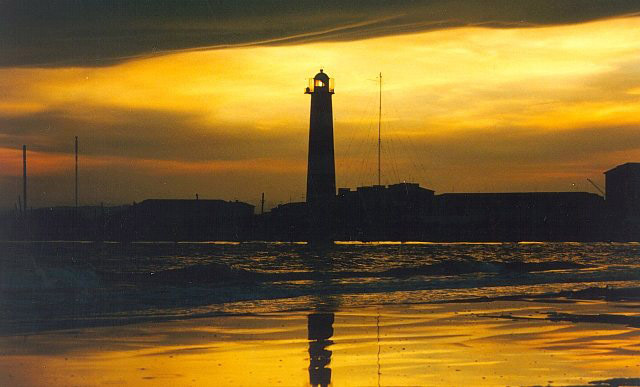 It was built in the lighthouse itself - 8-sided pyramid-shaped reinforced concrete tower 28.0 meters with a cylindrical lantern construction height 4,81m and diameter of the inscribed circle of 2.90 m.
In 1965 the tower was installed lantern construction. It has a bunk glazing height of 1.60 m. Each tier has 12 square convex mirror glass 8 mm thick. Dome buildings were made of stainless steel. 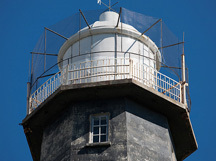 Inside the tower is arranged half-pace steel staircase that leads to the construction of the lantern. 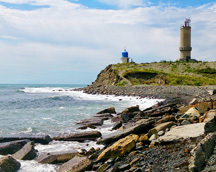 The area of ​​the lighthouse is fenced. House for no light keeper at the lighthouse, as a lighthouse located in the lighthouse and employees recruited from the local community.